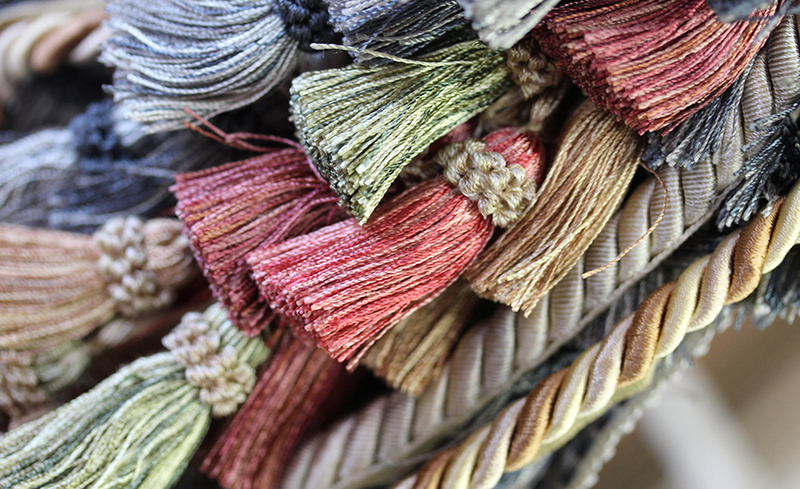 When you need something special to compliment your decorative creations look no further than our intensive collection of trimmings. 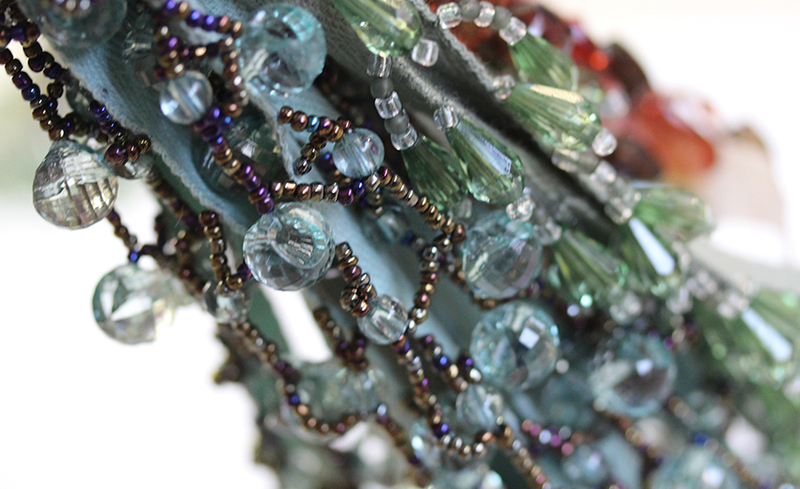 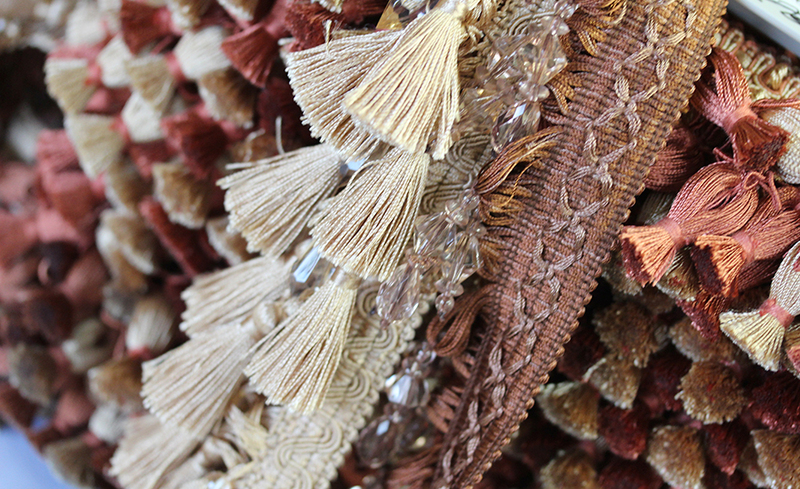 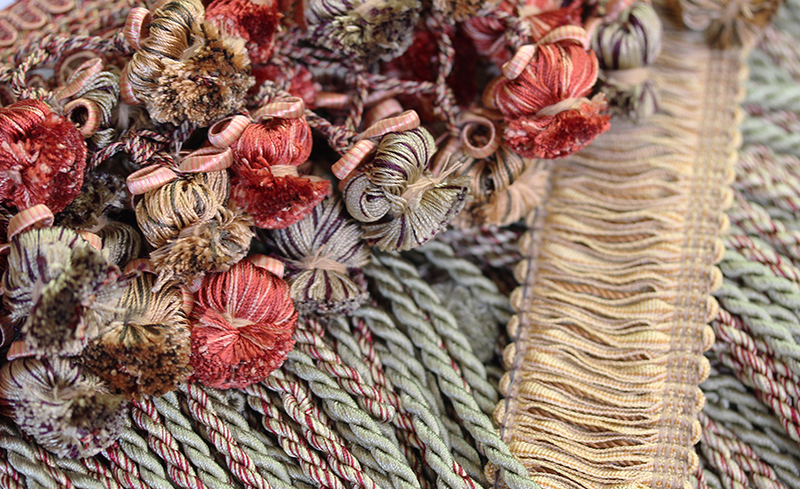 Novel Fabrics offers dramatic, elaborate and exceptional trimmings to adorn accent pillows, lampshades, window treatments or any upholstered furniture item. 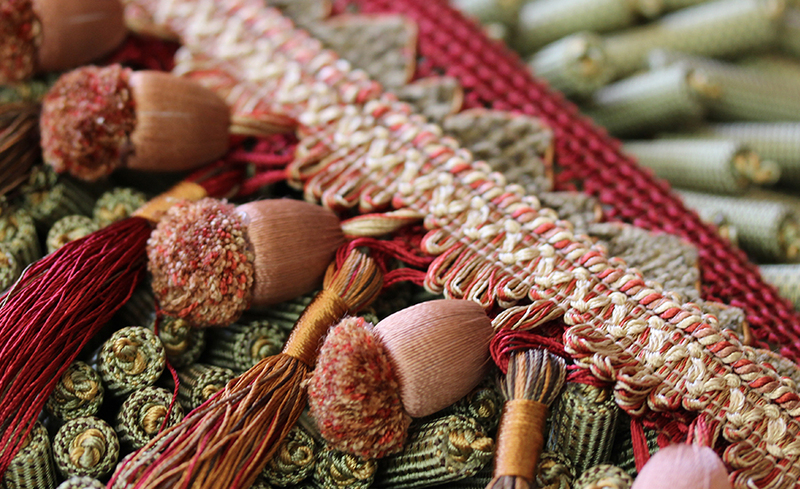 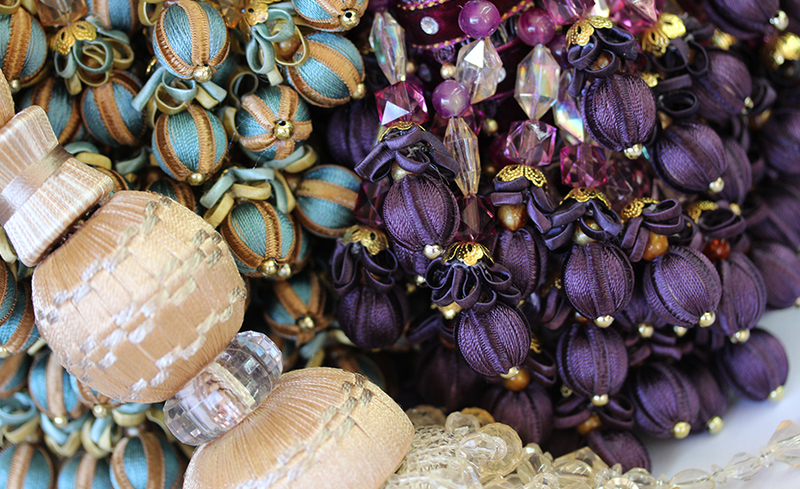 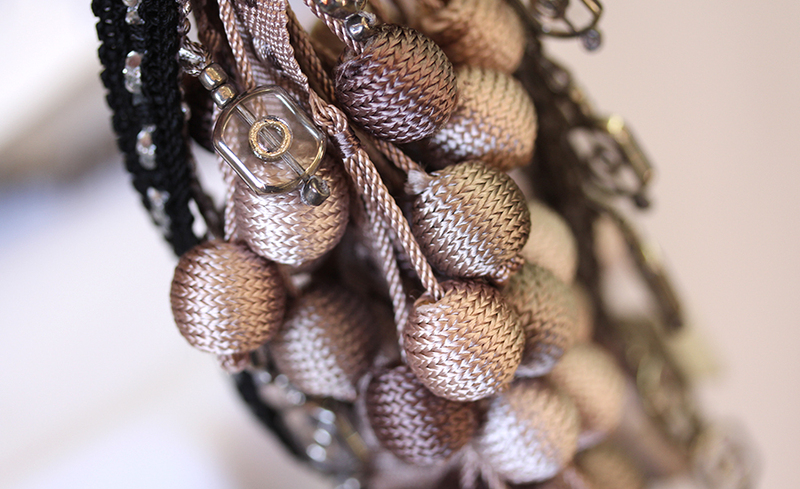 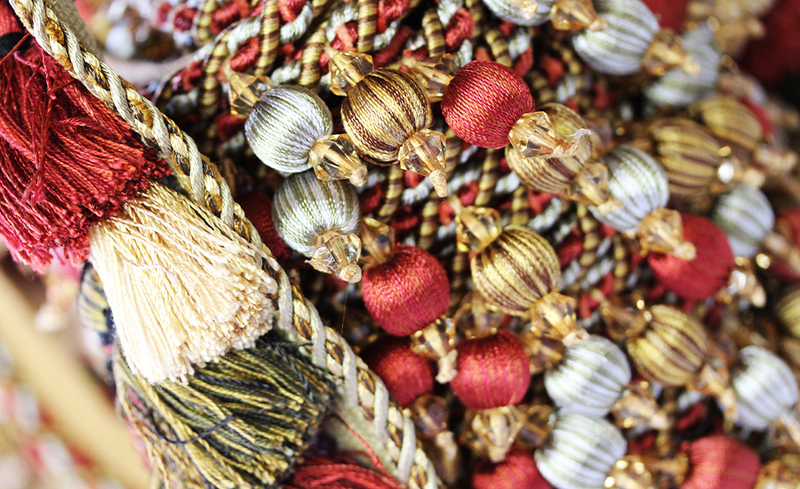 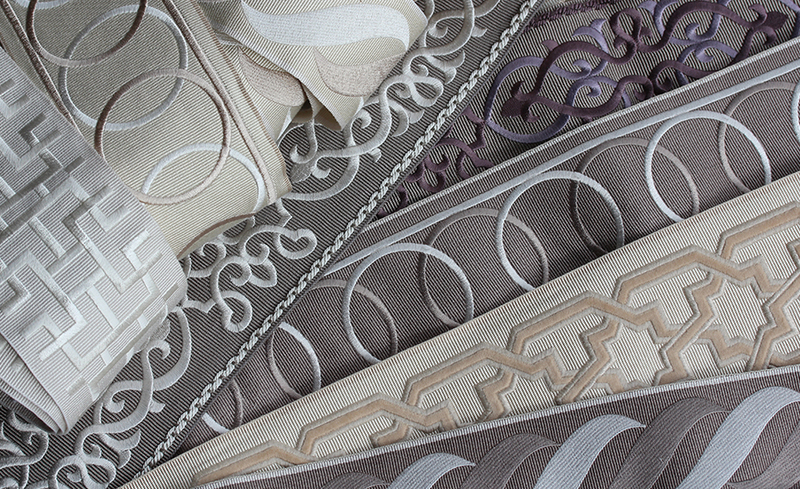 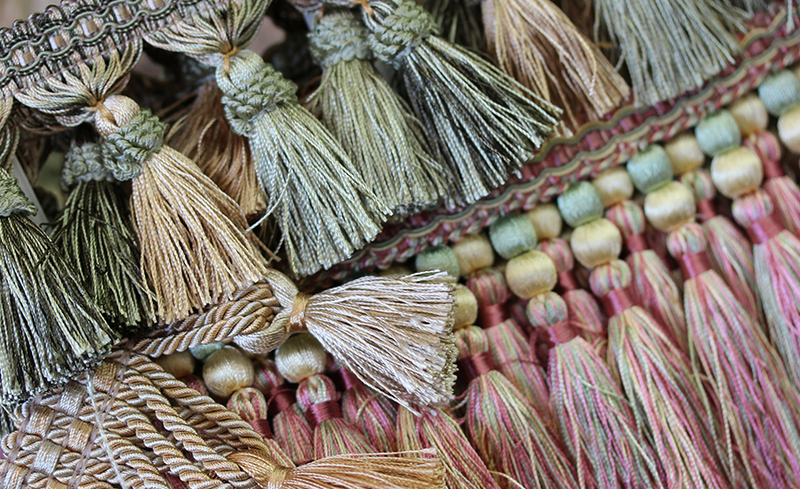 Our trim collections are coordinated with our fabric collections and include: tassel fringes, beaded trims, and decorator trim tape in a wide variety of designs and latest colors at an affordable price. 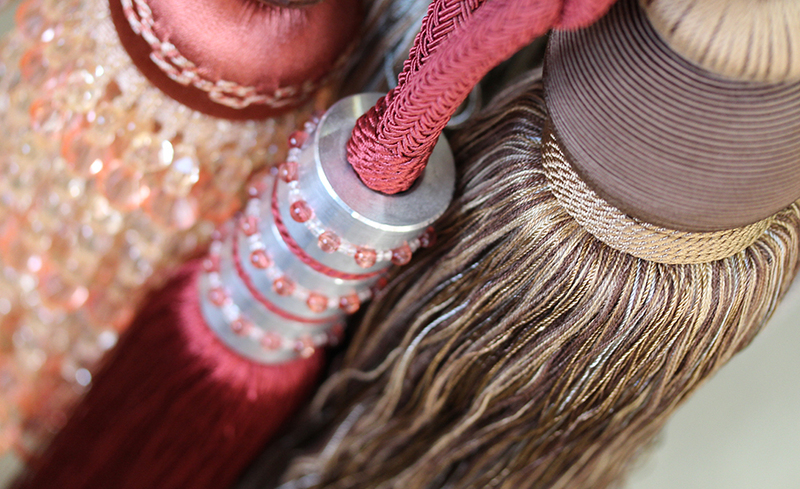 All trims shown are readily available and in stock. 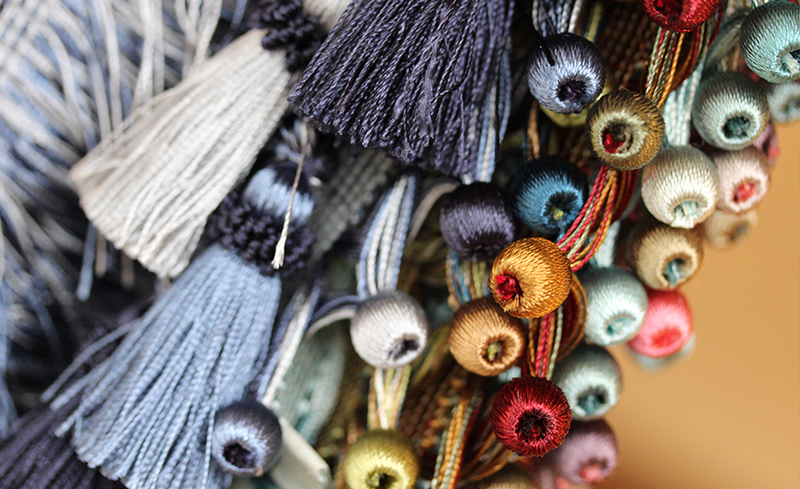 Please contact our Novel Fabrics Customer Service Dept. 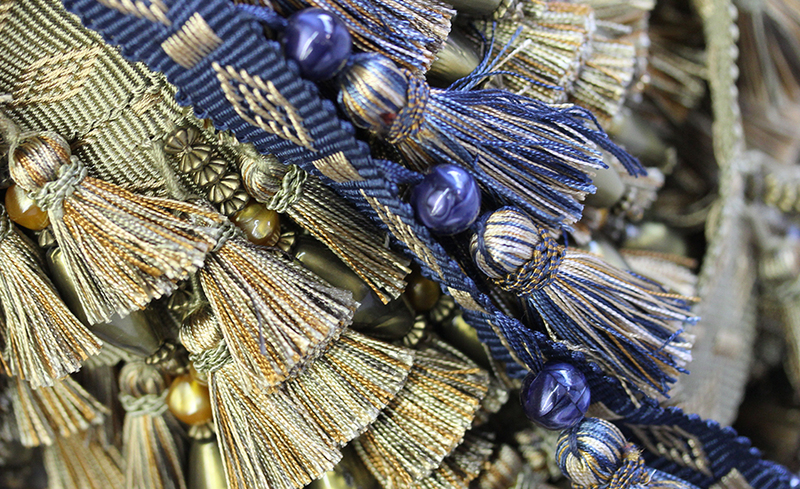 for more special order trimming products.